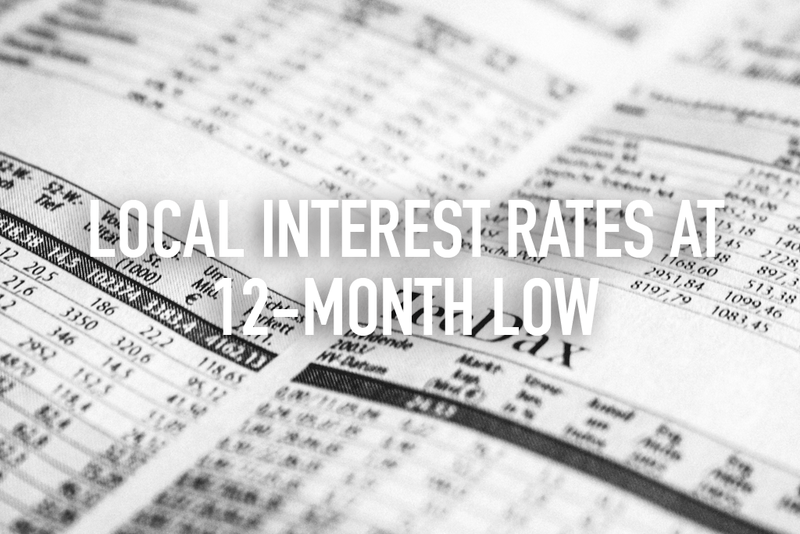 With the strong Singapore dollar (SGD), local interest rates have been declining to a 12-month low. Both the three-month Singapore interbank offered rate (SIBOR) and three-month swap offer rate (SOR) are about 30 and 60 per cent lower respectively, with SIBOR at 0.87192 per cent on Tuesday and SOR at 0.75448 per cent on Monday. These rates have declined steeply from SIBOR’s 1.254 per cent and SOR’s 1.76235 per cent in January this year. As for the one-month SIBOR rate, it is at 0.62217 per cent, down from 1.0501 per cent in January 2016. Even though there has not been much growth in Singapore, the low interest rates are likely due to the continued strength of the SGD, with a 5% appreciation against the USD since January 2016. Just earlier this month, the government estimated growth to be 1-2% this year, down from the previous prediction of 1-3%. Latest trade data from a week ago showed that non-oil domestic exports (NODX) sunk 10.6% year on year in July, continuing the 2.4% depreciation in June. This is far beyond the predicted 2.5% fall. It is unsure if the Monetary Authority of Singapore (MAS) will retain the zero appreciation policy in the upcoming policy meeting in October, or make changes to do exporters a service.